Live entertainment, concessions and other fun activities promise to make the Market Creek Summer Series a celebration. Audiences are encouraged to arrive early for pre-show entertainment that begins at 7 p.m. Movies begin promptly at dusk. The Market Creek Summer Series begins on Friday, August 1 with a screening of The Lego Movie, the box office sensation based on the popular toy brand. The fun continues Friday, August 8 with Instructions Not Included, the highest grossing Spanish-language film in the United States. Pulling Strings, starring Mexican actor, singer and host Jaime Camil, will delight audiences on Friday, August 15. A special matinee screening of Coach Zoran and His African Tigers will be presented on Sunday, August 17 at 2 p.m. 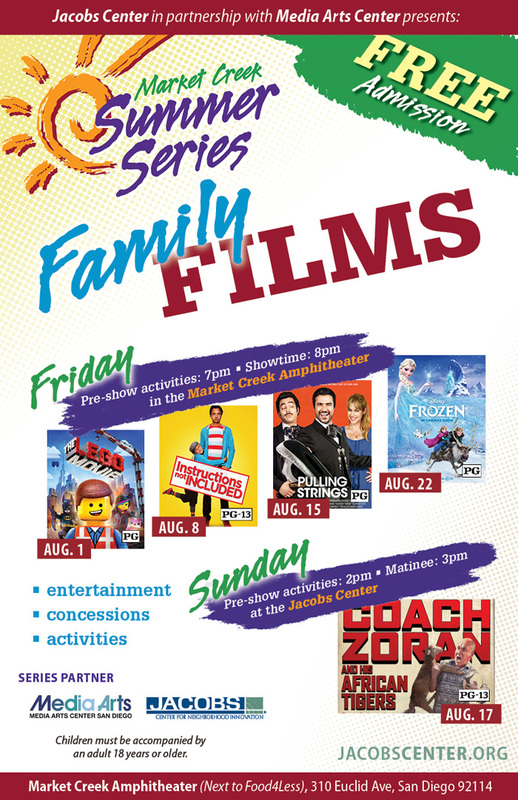 Finally, the series ends on a high note with Disney’s Frozen, screening on Friday, August 22. The Lego Movie, Friday, August 1, 7 pm (2014, 100 mins) An ordinary Lego construction worker, thought to be the prophesied ‘Special’, is recruited to join a quest to stop an evil tyrant from gluing the Lego universe into eternal stasis. Instructions Not Included, Friday, August 8, 7 pm (2013, 122 mins) A man who has made a new life for himself and the daughter left on his doorstep 6 years ago finds his family threatened when the birth mother resurfaces. Pulling Strings, Friday, August 15, 7 pm (2013, 111 mins) After a night of drinking, Rachel, a diplomat working in Mexico City finds her world turned upside down after she’s saved by Alejandro, a Mariachi singer whose visa was rejected the day before – by Rachel. Featuring Jaime Camil. Coach Zoran and His African Tigers, Friday, August 17, 2 pm (Special Matinee in Celebration Hall) (2013, 75 mins) South Sudan became an independent state in July 2011, following almost 50 years of civil war. Although still steeped in the memories of countless victims of violence, the new nation is seeking to make a place on the international soccer stage by forming its first national team. The man called in for this task is the Serbian Zoran Djordjevic, a dynamic and hugely ambitious veteran coach. The film follows the team over its first year. Join us for the 10th Annual Somali American Cultural Fest, Thursday June 26, 2014 at Market Creek Plaza, 4-8pm. For more than three decades as both a leader and a sideman, Poncho Sanchez has stirred up a fiery blend of straightahead jazz, gritty soul music, and infectious melodies & rhythms from a variety of Latin American and South American sources. His influences are numerous, but among the more prominent figures that inform his music are two of the primary architects of Latin jazz – conga drummer and composer Chano Pozo and trumpeter Dizzy Gillespie. A native of Laredo, Texas, Sanchez moved to Los Angeles at the age of four, where he was deeply influenced by the music he heard in the Chicano neighborhood in which he lived. Initially a guitarist, he played with a series of junior high school and high school rhythm & blues bands. Sanchez then taught himself how to play the conga by spending hours practicing Caj Tjader, Machito, and Tito Puente records. He was also deeply influenced by the hard bop sounds of the Jazz Crusaders. After more than two decades in music, Sanchez’s efforts paid off when his album, Latin Soul, received a Grammy award as Best Latin Album of 1999. Throughout the next decade, Sanchez continued to record, releasing such albums as 2000’s Soul of the Conga, 2001’s Latin Spirits, 2003’s Out of Sight!, 2005’s Do It!, 2007’s Raise Your Hand, and 2009’s hard bop-influenced Psychedelic Blues. In 2011, he paid tribute to the innovative Afro-Cuban recordings of Dizzy Gillespie and Chano Pozo by teaming up with trumpeter Terence Blanchard for Chano y Dizzy. 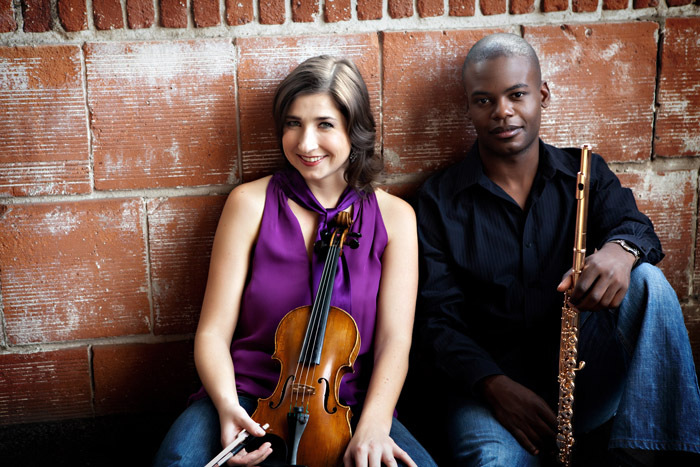 The Valencia Park/Malcolm X Library presents Art of Élan on Wednesday, May 29th at 6:30 p.m. For the past 5 years, Art of Élan has been pioneering unique chamber music events and bringing back the excitement of classical music. Created by flutist Demarre McGill and violinist Kate Hatmaker in an effort to enrich the cultural life of San Diego, Art of Élan specifically aims to expose new audiences to classical music, explore (and expand) the horizons of the classical music scene, energize audiences and musicians alike, and ultimately educate and cultivate a future generation of classical music lovers. By presenting one hour concerts in artistically stimulating and invigorating environments, keeping the concerts short and providing an opportunity to connect directly with concert-goers, they hope to engage and energize audiences in new ways. Find out more at www.artofelan.org. May 29th’s concert is a mostly Latin American program, with a fun piece to start by Venezuelan flutist/composer Marco Granados. 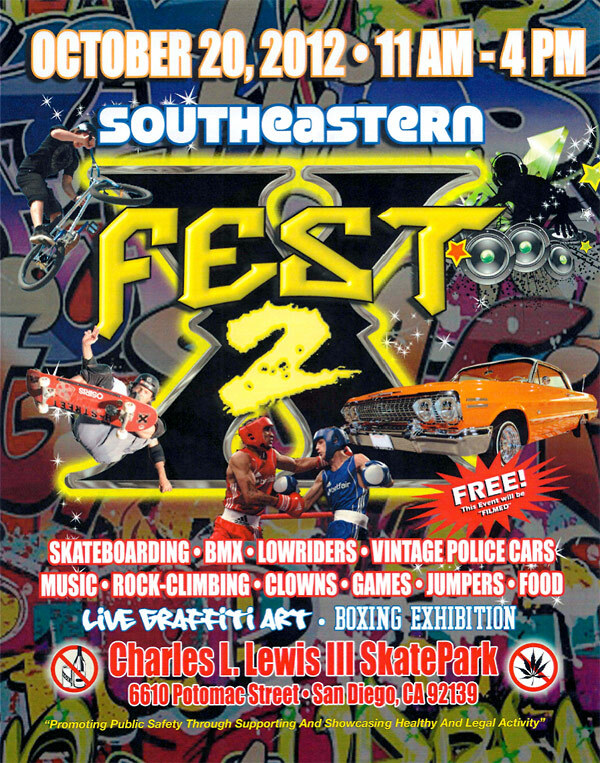 The 2nd annual Southeastern X-Fest will be held Saturday, Oct. 20 from 11 a.m. to 4 p.m. at the Charles L. Lewis III Skate Park, 6610 Potomac Street. 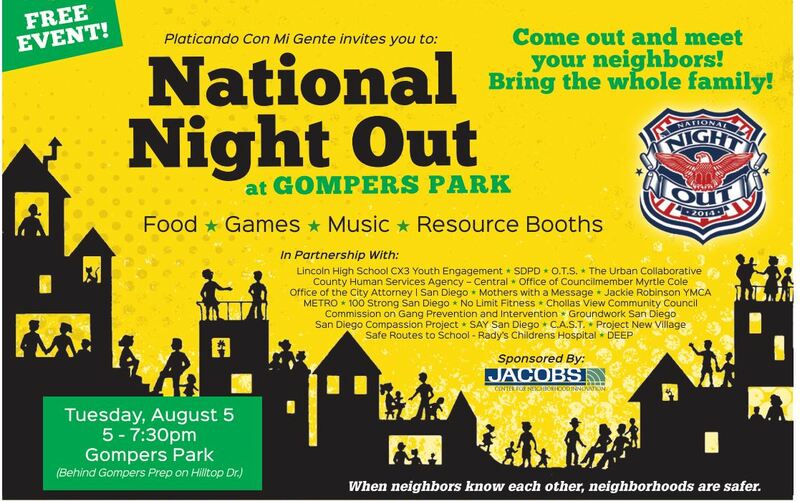 Sponsored by the San Diego Police Department (Southeastern Division’s Juvenile Service Team), San Diego Park and Recreation, San Diego City Attorney’s Office and other community groups, this free event promotes public safety and healthy activities and will include skate-boarding, rock climbing, music, games, live graffiti art, low riders, vintage cars, and a boxing exhibition. For more information about the upcoming event, go online: facebook.com/SoutheasternXFest2012. 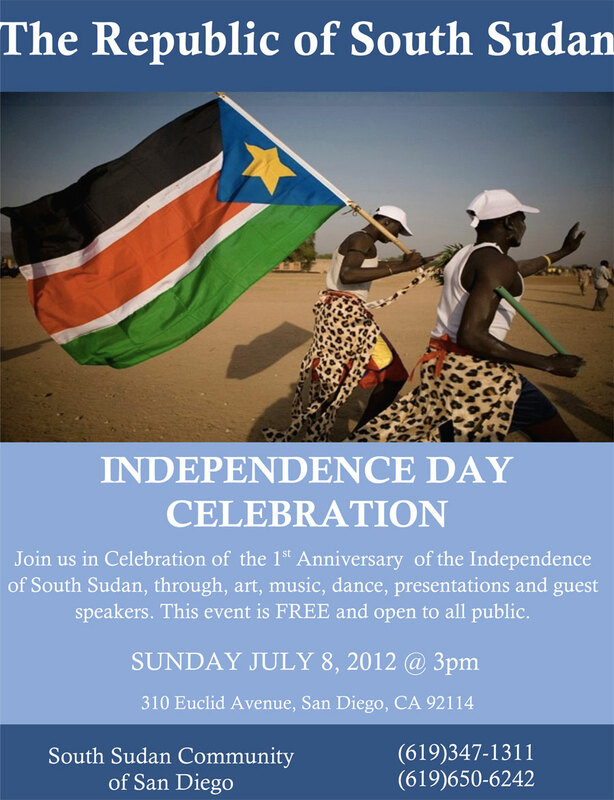 South Sudan, through, art, music, dance, presentations and guest speakers. This event is FREE and open to all public. 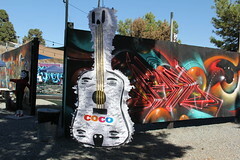 Graffiti jam thrown in conjunction with the San Diego North Star Zulu Nation Chapters annual celebratory weekend. Local artists as well as out of town artists will be painting murals, DJ’s providing music, BBQ, and a handful of select vendors selling hip hop merchandise. As part of African-American Music Appreciation Month, the Valencia Park/Malcolm X Library will host an interactive African drumming session with Nana Yaw Asiedu at 6:30 p.m. on Wednesday, June 20 at the branch location, 5148 Market St. For more information about the drumming session and other library events and activities, please call: (619) 527-3405. 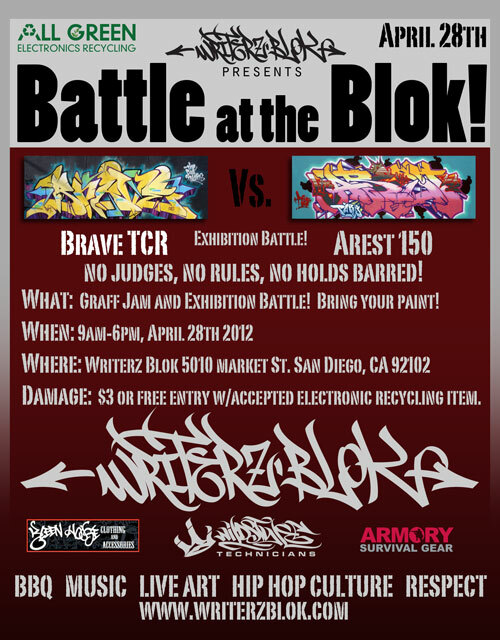 Battle at the Blok – Bring Your Paint! $3 or free entry with accepted electronic recycling item. 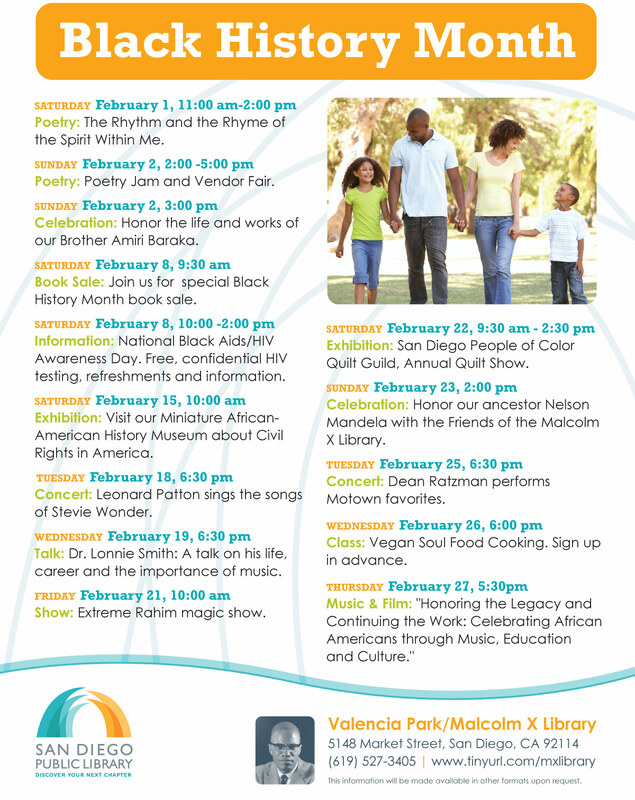 The Malcolm X Library is offering workshops on the Four Elements of Hip Hop on the first four Wednesdays of February (February 1,8,15,22) from 4:00-5:00PM. These classes will be taught by artists from Writerz Blok, and will feature aerosol art, turntables, B-Boy, B-Girl dancing, and MCing. Classes are free to attendees, recommended for ages six and up. The library is located at 5148 Market Street, and people may call 619-527-3405 for information. Write Out Loud, in partnership with San Diego Public Library, presents THE BIG READ – Shades of Poe. Inspiring our community to read the works of Edgar Allan Poe, Shades of Poe provides opportunities to read and re-imagine the works of Poe into a medium of your passion. A month-long community-wide Celebration of the works of Edgar Allan Poe, featuring readings, discussions, film screenings and presentations of original local works inspired by Poe, will be presented in April 2012 throughout San Diego. Lunch Will Be Provided. Community Service Hours Available. Free admission, live entertainment featuring poetry, music, dance, fashion show, kids activities, food and vendor booths. Visit SomaliYouthUnited.org for more information. If you missed last week’s line up of incredible youth artists, or if you made it and are ready for more inspiration, please attend Limitless Visionaries performance art showcase on Saturday June 25 from 7 to 9pm in the Center for Community & Cultural Arts. This week’s showcase highlights local youth musicians and singers, Isaiah Profit, Jeanne Iheke and Niambi. We will also feature San Diego’s own Rudy Francisco, who this year was recognized as the World Slam Champion poet. This week you will be in for a real treat! Hope to see you there! The purpose of the exhibition is to unify youth from different cultural backgrounds and neighborhoods in a collective celebration of their artistic genius and in recognition of a commonality they all share: the gift of creative expression. Participating Schools: Crawford High School, Gompers Preparatory Academy, Lincoln High School, Morse High School, and School of Creative & Performing Arts. In between the hustle and bustle of family gatherings, holiday parties, and gift giving, make some room if you can for a few of the great arts, culture, and community happenings taking place in and around southeastern San Diego this weekend. This week’s recommendations are for a musical produced by a local theater company and a youth concert. And don’t forget — the farmers’ market just off of Euclid and Guymon takes place every Friday! More information can be found at the People’s Produce Project‘s website. Love music, dance, and uplifting stories of faith? Common Ground Theatre‘s got you covered in its production of “Oh Come All Ye Faithful” Black Nativity: The Musical, which runs through December 19. It’s a retelling of the birth of Jesus that mixes dance and music styles, from ballet to krunk and spoken word to gospel. Each performance highlights guest ministers from area churches and includes a pre-show performance by local gospel artists. Call the theater for ticket prices and more info at 619-263-7911, or send an email to cgtheatre@sbcglobal.net. If you aren’t a Gompers Gleek* already, you will be after Monday night. The Glee Class at Gompers Preparatory Academy will be belting out holiday cheer that evening at their concert, The Most Wonderful Time of the Year. Come out and support the talent of these awesome students and share a little musical joy with your neighbors and friends. We’ve got some arts, culture, and community activities to recommend for this last weekend of October. Read on to learn more about a theater production by Mo’olelo, Halloween fun with the Jackie Robinson Family YMCA, and a benefit for southeastern San Diego’s own Common Ground Theatre. It’s the closing weekend of Mo‘olelo Performing Arts Company‘s production of Yellow Face, written by Tony Award-winning playwright David Henry Hwang. A Pulitzer-prize finalist, Yellow Face takes a comedic and contemplative look at race through three main characters: a renowned Asian American playwright, the white actor who is mistakenly cast to play the Asian lead in his play, and the playwright’s father. The title refers to the practice of casting of Caucasian actors as Asian characters, whose looks were often altered through makeup to appear more Asian. Performances take place in downtown San Diego at the Tenth Avenue Theatre and tickets can be purchased online at Mo‘olelo’s website. Through the company’s greening initiative, if you bring proof of carpooling, driving a hybrid, bicycling, or taking public transit to the show, Mo‘olelo will email you a $5-off coupon for your next Mo‘olelo production. How cool is that? For more information, visit Mo‘olelo online or call (619) 342-7395. The Jackie Robinson Family YMCA is hosting its 12th annual Halloween Carnival this Sunday. This free event offers kids a safe and fun place to trick or treat, play games, enter a costume contest, and enjoy the Y’s transformation into a haunted house. Community booths are available in the Trick or Treat Arena for organizations interested in sharing information about their programs and passing out candy/treats for the kids. More info can be found on the registration form. 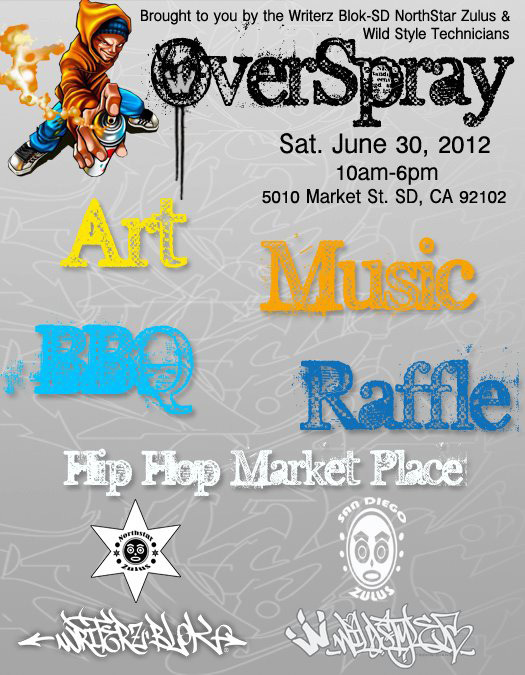 Call (619) 264-0144 for more information on this event. Event flyers (English/Spanish) can be downloaded here. You can also learn more about the Jackie Robinson Family YMCA on Facebook. So, technically, this event takes place on a Monday night, but what better time to plan for it than now? Award-winning jazz guitarist, José Molina Serrano, will be accompanied by a group of talented friends at Humphrey’s Backstage Live to benefit Common Ground Theatre. Originally established as the Southeastern Community Theatre, Common Ground has been producing both classics and new theater works by and about people of color for over four decades. 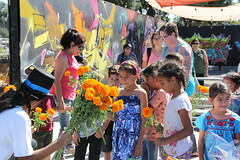 This southeastern San Diego nonprofit also organizes a Youth Academy to provide mentoring and practical theater experience for youth from ages 7 – 17. This is a 21+ show. Tickets are $50; not only are they tax-deductible, but you can bring a friend for free. These can be purchased online at Ticketmaster or at the Humphrey’s Backstage Live box office; call (619) 224-3577 for box office hours. For more information about the benefit, call Common Ground Theatre at (619) 263-7911. 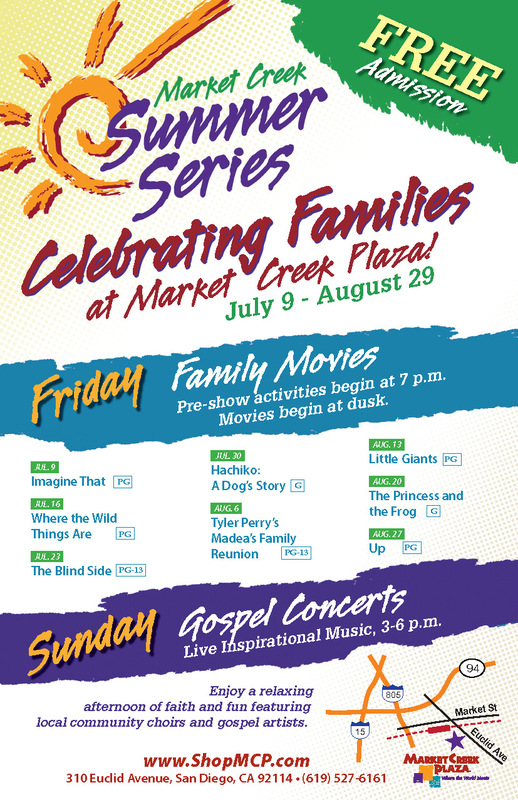 This weekend marks the end of the 2010 Celebrating Families Summer Series at Market Creek Plaza! Stop by for one last family-friendly movie and gospel performance to end your summer vacation on a high note. The final movie of the series is Up (2009), the animated film from the creative minds at Pixar. Elderly Carl and young Wilderness Explorer Russell fly to South America… in a house held up by helium balloons. It’s a sweet and funny story that your whole family will love. Rated G. Pre-movie activities begin in the amphitheater at 7pm; the movie starts at dusk. This afternoon concert features performances by local choirs and choral groups singing a variety of traditional and contemporary gospel. Join us one last time as we close out the summer with music to remember. 3-6pm in the amphitheater. Admission to the series is free and plentiful parking is located right next to the amphitheater. Click here for directions to the Market Creek Plaza amphitheater. For more information, call 619-527-6161.